Survivors of the Holocaust and subsequent genocides joined politicians and dignitaries at the UK's Commemorative Event for Holocaust Memorial Day 2014 in Westminster. 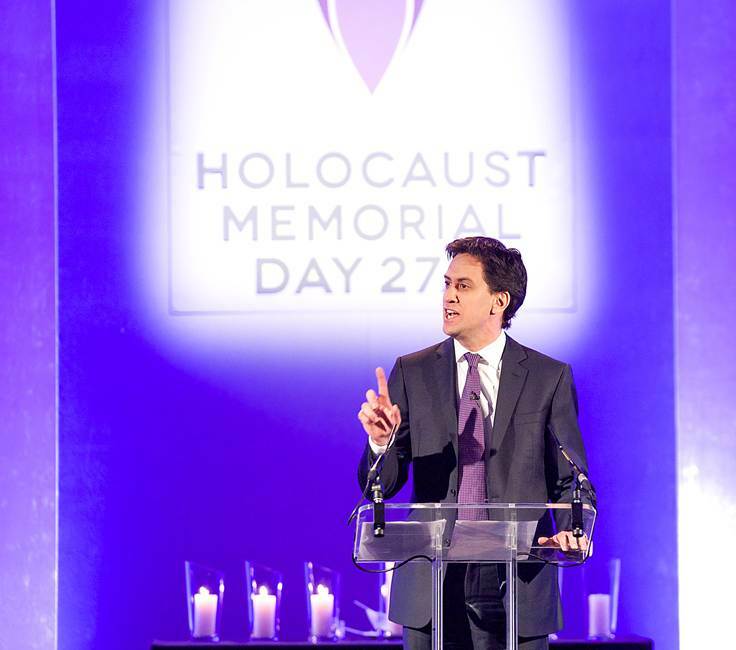 Rt Hon Ed Miliband MP, Leader of the Opposition, spoke about his parents' journeys to the UK to escape the Holocaust, he said: ‘I’m here today to remember those members of my family who were lost in the Holocaust. 'And in coming here for them, I am here too for the six million other Jews who died, and all the other victims of Nazi persecution, and all of those who’ve been the victims of genocide and crimes against humanity. Chief Rabbi Ephraim Mirvis reminded the audience how journeys during the Holocaust and subsequent genocides mostly ended in death: ‘When the Holocaust arrived it did not differentiate between men and women, old and young, religious and irreligious, it affected us all. Rt Hon Eric Pickles MP, Secretary of State for Communities & Local Government, spoke about survivors' journeys of rebuilding in the UK: ‘Human experience is the best memory. Five survivors powerfully shared their life stories from within the audience, highlighting that survivors live amongst us in our communities: Freddie Knoller, a survivor of the Holocaust, Sokphal Din, a survivor of the Genocide in Cambodia, Lady Milena Grenfell-Baines, who came to the UK with the help of Sir Nicholas Winton, Appolinaire Kageruka, a survivor of the Genocide in Rwanda, and Kemal Pervanić, a survivor of the Omarska Concentration Camp in Bosnia.